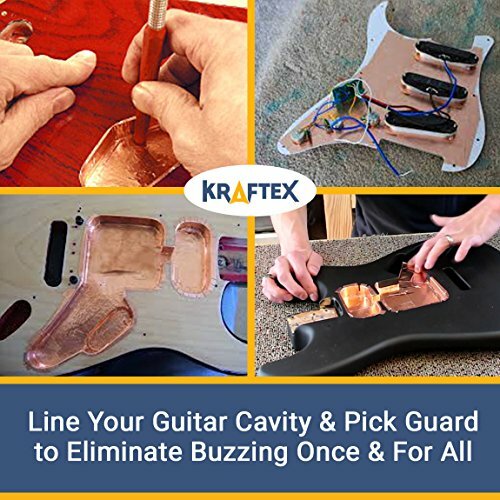 •DESIGNED BY GUITARISTS FOR GUITARISTS - If you're tired of hum and interference when you're playing your guitar then Kraftex will provide a quick fix, with it's flexible and conductive 2 inch copper tape. The perfect size to easily line the cavity and pick guard of your guitar and cut out annoying buzzing once and for all. 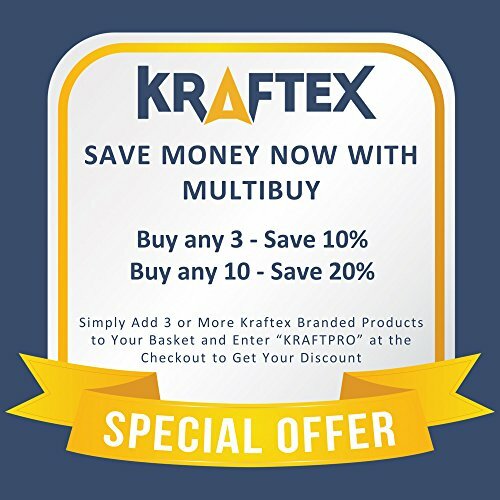 The conductive adhesive makes it easy to install, so don't worry, Kraftex has got you covered. •THE SECRET BEHIND PERFECT TONE - That's right. 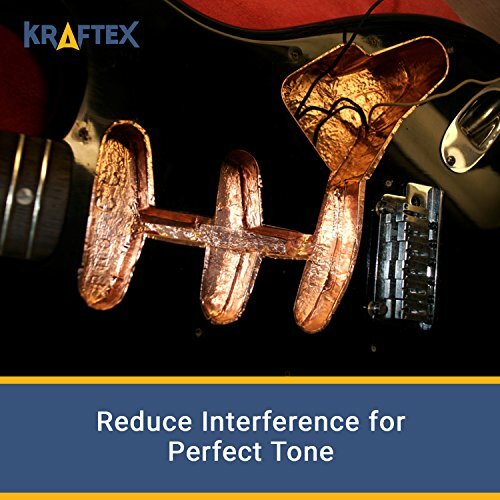 Copper tape plays a key role in reducing annoying electrical interference and making your tone perfect. It's a much better solution than graphite and aluminium tape. 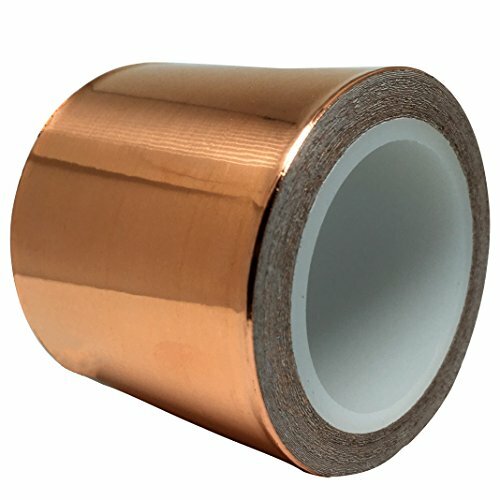 So, whether you're a beginner or professional, copper tape applied to your guitar can improve your sound quickly. 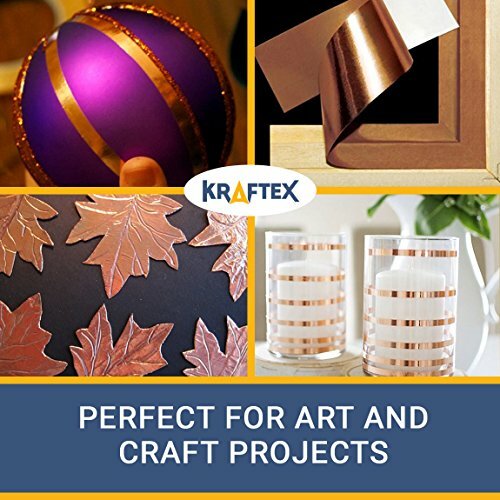 •ONLY THE BEST QUALITY WILL DO - Pure copper foil, low resistance adhesive and an easy peel waxed paper backing makes our tape the best on the market. We are so confident that our laboratory tested product will arrive in perfect condition and solve your problems that we give you a FULLY REFUND YOU if it doesn't. Click "Add to Cart" now to buy with confidence. •BRING YOUR CRAFT IDEAS TO LIFE - Bring some new color and textures into one of your craft projects. Easy to shape and mould with a strong adhesive it sticks to almost any clean surface. With its fantastic pure copper color this truly versatile tape will bring your imagination to life. •SAY GOODBYE TO EMI AND RFI - Quickly protect your devices from electromagnetic and radio-frequency interference. 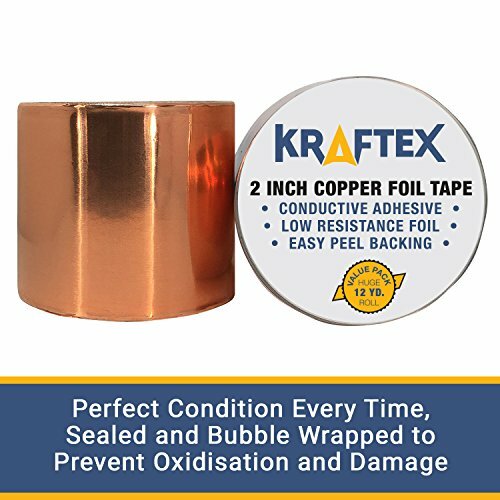 Kraftex copper tape offers a quick and simple solution. The adhesive is strong, flexible and highly conductive, making it easy to protect your electronics. •Each roll is 6 yards long and 2 inch wide. •The tape has Dual conductivity so current will flow through both sides and the adhesive. •One side is coated with a strong adhesive which is protected by paper backing on the roll. •Tape is resistant to oxidization and discoloration. •Suitable for indoor and outdoor use. 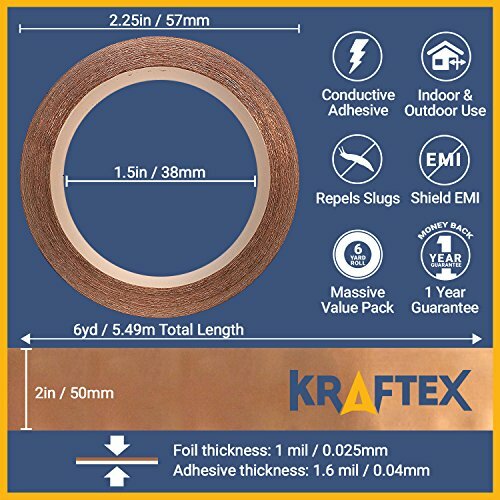 The tape has a wide variety of uses and will perform perfectly when applied in the following roles: EMI guitar shielding, slug repellent, snail repellent, soldering, stained glass, paper circuits, educational aid, electrical repairs, household repairs, bonding, grounding, decoration, arts and crafts and many more. We are so confident that our laboratory tested product will arrive in perfect condition and solve your problems that we give you a FULLY REFUND YOU if it doesn't. Click "Add to Cart" now to buy with confidence.